I sat in my hotel room and flipped through the channels on TV trying to find any baseball game to watch. Oh good, the Washington Nationals were playing the Atlanta Braves, and the National’s ace, Stephen Strasburg, was pitching. 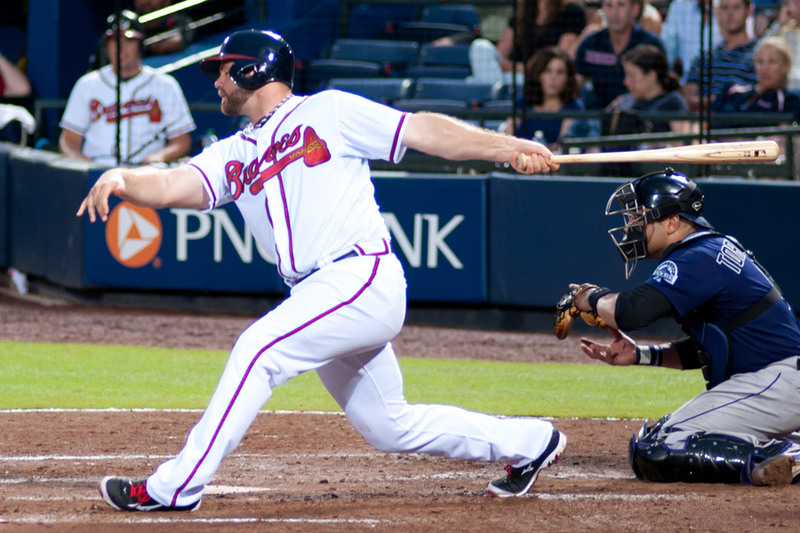 An enormous hulk of a man was batting for the Braves, Evan Gattis—probably some benchwarmer. Strasburg uncorked a neck-high 96-mph fastball about a foot inside. Nobody hits a pitch like that—most guys duck. Then, WHAM! Gattis turned on the ball and launched it deep into the left-field bleachers. Who is this guy? The best hitters in the world can’t do what he just did. It was all the more impressive once I learned his story. Gattis grew up in Dallas and showed his prodigious talent early, playing on youth all-star teams with future major league superstars Clayton Kershaw and Austin Jackson. But it wasn’t all fun and games. Gattis’ parents divorced when he was in elementary school and his increasing prestige created a weight of expectations, even as he tried to lose himself in the game he loved. Toward the end of high school he began to drink and smoke marijuana to block out the pressure. Gattis earned a scholarship to play baseball at Texas A&M University, but he never enrolled. Instead he enrolled in a substance-abuse rehabilitation program.